The 2019 Ultimate Desert Challenge was flagged off today, February 1, near Bikaner, Rajasthan. This is the fifth edition of this event, with the organisers, Dune Motorsport Club, having first organised the event in 2014. This year's edition will see participation from over 50 teams from Punjab, Delhi, Rajasthan, Maharashtra and Haryana. There are two parallel competitions being held this year. The first of these is UDC Offroad. 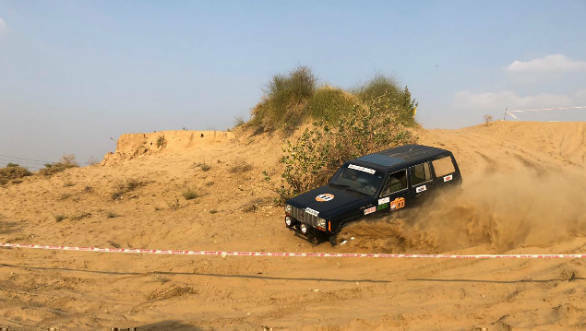 Around 35 teams will compete in 12 Special Stages in the dunes around Bikaner. On test will be the contenders' driving and vehicle recovery skills in this terrain. Points will be awarded to competitors who successfully complete an SS while penalties will be incurred for not starting/finishing an SS and for not adhering to the event's rules. The team with the most points at the end of the 12 stages will be the UDC Offroad winner. The other competition is UDC X-cross. Here around 15 competitors will run back-to-back laps for over 180 km through sand and gravel. The X-Cross track has been specially designed to facilitate overtaking. The course will feature designated Start and stop boxes, spectator stands, and even a pit-stop-like service area. After the flag-off competitors move to Shivbari. This location is near the city and features three of the 12 SSs. 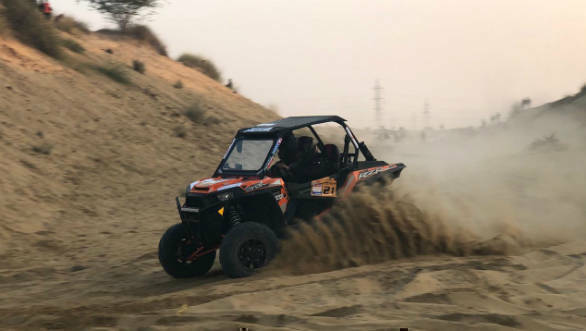 Arvind Balan, president, Dune Adventure Sports Club, said, "We have witnessed a phenomenal show of motorsport talent in the four years of Ultimate Desert Challenge; looking at the line-up for this year's competition I am certain that we have some really intense competition ahead of us this year as well. This record interest in Ultimate Desert Challenge proves our success in providing a top-of-the-line, safe, and enjoyable sporting experience to our competitors in all these years."